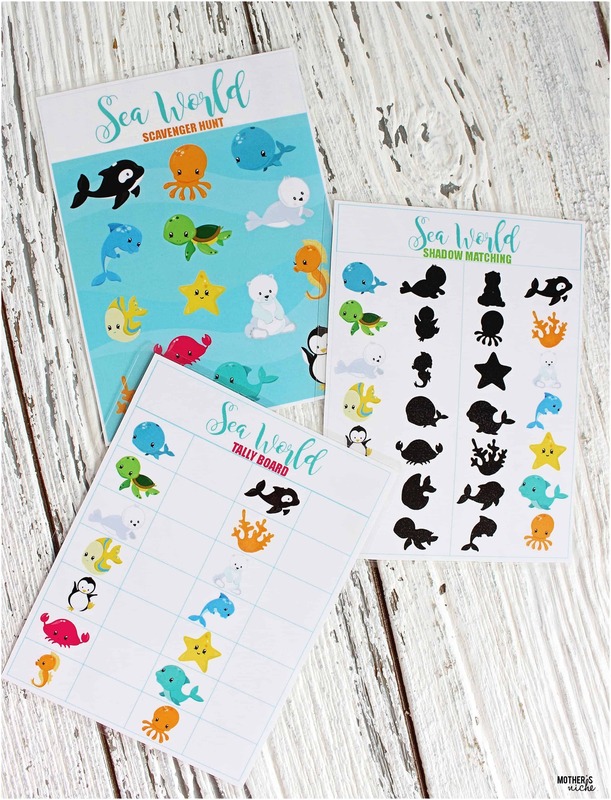 Sea World Tips and Tricks PLUS FREE PRINTABLE! November 15, 2016 By Chelsey Leave a Comment This post may contain affiliate links. Read my disclosure policy here. 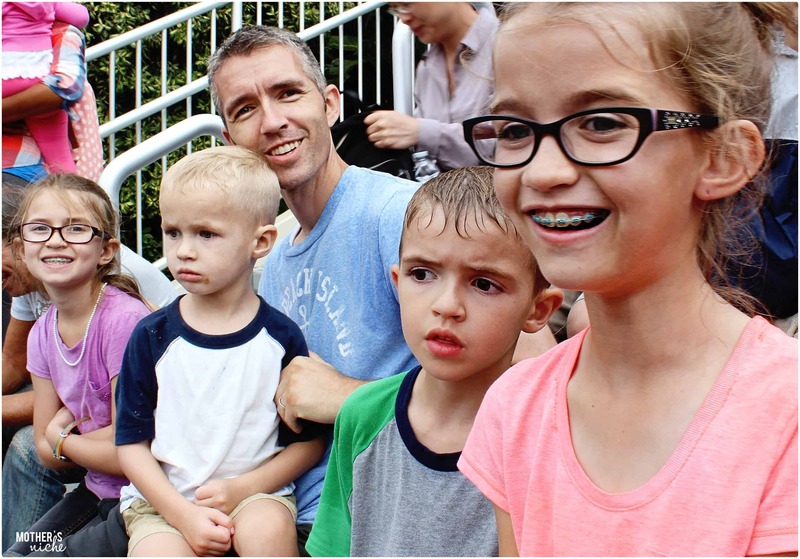 Last month My Husband and I surprised our four kids with a trip to Sea World. We booked our tickets through Get Away Today and got some fantastic deals. We surprised them on the drive. I have to tell you, we had the most wonderful time. Everything was great! Absolutely perfect! I hadn’t been to Sea World since I was about 4 years old, and the only memories I have are from the pictures I have seen. I honestly didn’t know what to expect. I did a lot of research on what to bring and what to do. Just trying to organize everything. 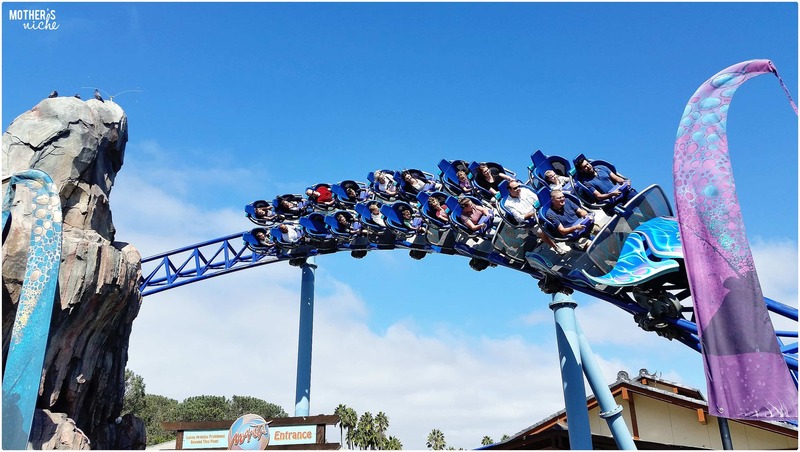 ROLLER COASTERS FIRST – Right when you get to the park there are a whole bunch of touch ponds where you can feel the sharks and crabs, skip over them and catch them on your way out of the park. Head first to the center of the park for the Manta Roller Coaster. 3 out of 4 of my kids could ride it and it was surprisingly fast and fun. My kids LOVED it! Because we went straight to the ride from the park entrance there was NO LINE! We rode the ride 3 times straight and because there was no line they let us hop right back on without walking all the way around. It was fantastic. If you have some kids too small to ride take them to the Manta Ray touch pond right next to the roller coaster entrance. I wouldn’t waste money on the manta food. They glide right past you, over and over, without it. 2. SET AN ALARM FOR THE SHOWS– The night before you can look up the schedule for all the shows. I set the alarm on my phone 20 minutes before each show would be starting. It worked out perfectly. 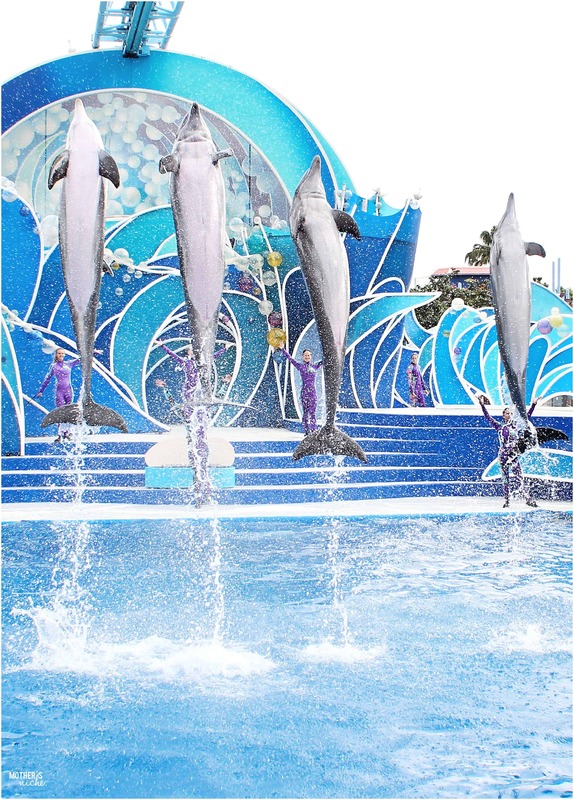 The dolphins show was really fun. My kids jaws dropped open when they shot straight out of the water and the dancing was too cute! 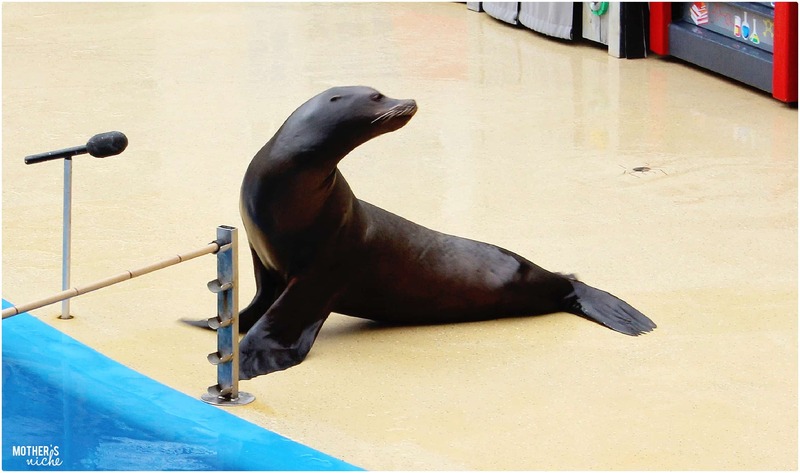 The Seal and Otter show was really fun. One thing I absolutely loved was that we showed up 15 minutes early for the show and there was a fun comedian doing some fun jokes and dancing. It gets the audience laughing and the show hasn’t even started yet! My kids were dancing and laughing. The show itself was adorable and my kids wanted to see it again and again. It was a favorite of ours, for sure! 3. SAY “YES” TO THE SPLASH ZONES– Don’t be Chicken! 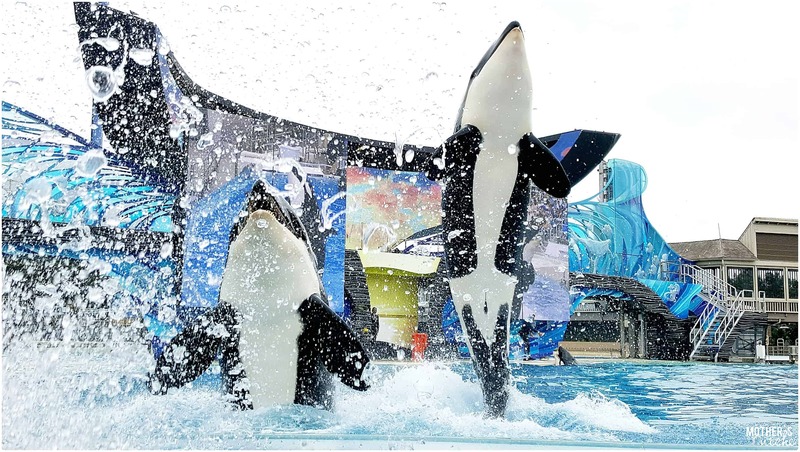 There is nothing better than being splashed be these beautiful creatures! We thought so anyway. My kids laughed and talked about that more than anything else. They thought it was AMAZING! We did wear ponchos and they were needed! I knew I was planning the trip that I wanted the kids to experience it so we came prepared. We shook them and rolled them up after each show and broke them out for the next one. 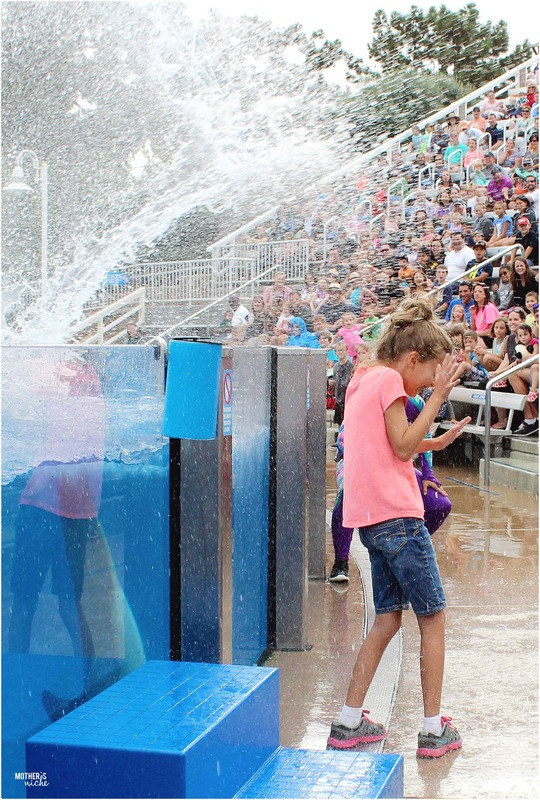 Another PRO to the splash zones is that there are always seats, GREAT SEATS available! 4. 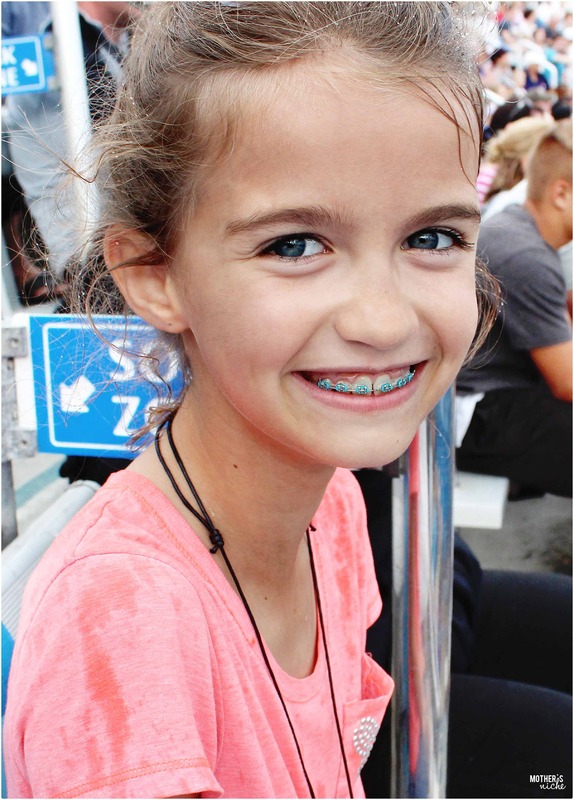 SHOW UP EARLY FOR SHOWS– My husband and two of my kiddos were on the Atlantis ride. My oldest daughter and youngest son headed over to the last dolphin show of the day. We had been to a show earlier that day but were late getting seats so this time we wanted to hit the splash zone. When we got there we were 20 minutes early. We picked some seats. 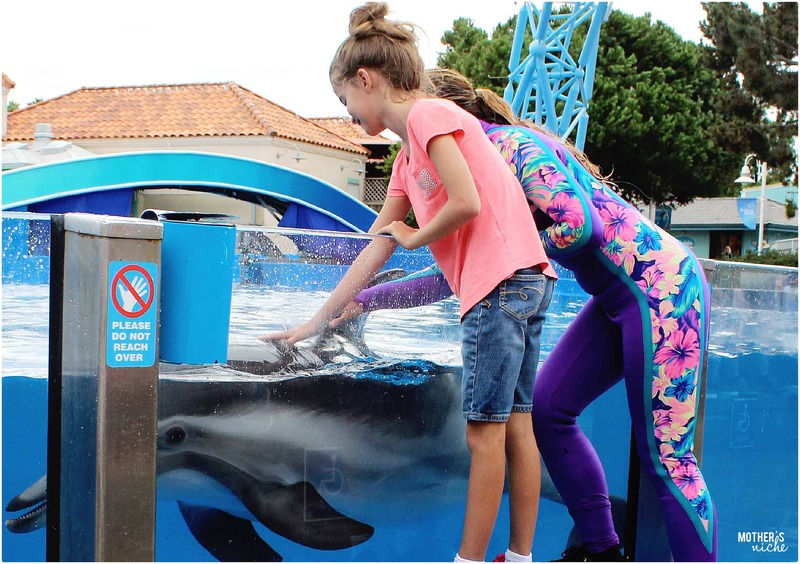 A child is selected each show to “assist,” and gets to meet the dolphins. I recognized the woman in charge I walked up to her and asked if they had picked the assistant from the audience yet. She said no but that the man who picks was standing right behind me. I turned around and he had started up the stairs to pick out a child to help with the show. I caught him and asked if my daughter could be the assistant. He was thrilled! I pointed to her and he walked over to chat with her. She had no idea what I was doing and was in total shock! When my husband and kids showed up we were sitting in reserved seating in the front! He had no idea what we were doing there. We chose before hand to surprise them and not tell them that she was going to be a part of the show. She spent 5 minutes with a dolphin named Bullet. She did some hand signals with the dolphin to have her nod her head. Got to pet her back and feed her some fish. It all ended in a big SPLASH! It was ABSOLUTELY FANTASTIC! As you can see she was beaming and she even got a special necklace from the dolphin trainer! I tell you what, I am fulfilling my childhood dreams through my daughter! 5. 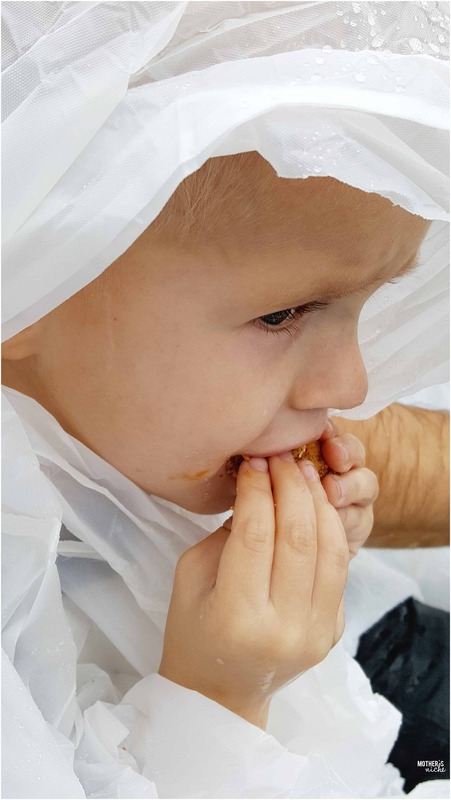 TAKE HEALTHY SNACKS and ACTIVITIES– We took a backpack that turned out perfectly. The only place that you can’t take a backpack is on the Manta Ride and they have free locker rentals for up to 1 hour. We had a snack before each show. 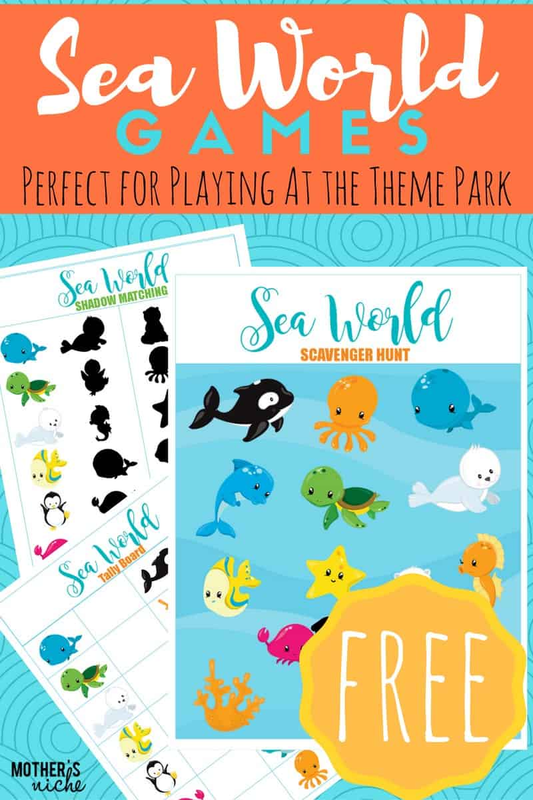 I made these fun Sea World Activities to do while we walked around the park and while we waited for shows to start. They were really fun! My kids carried them all over the park searching for the animals on the pages and counting them to add to the tally sheet. Fruit leathers are a family favorite. Fruit leathers and some Fruit leathers are necessities. We are so glad we went to Sea World and had a WONDERFUL Time! We loved everything about it! 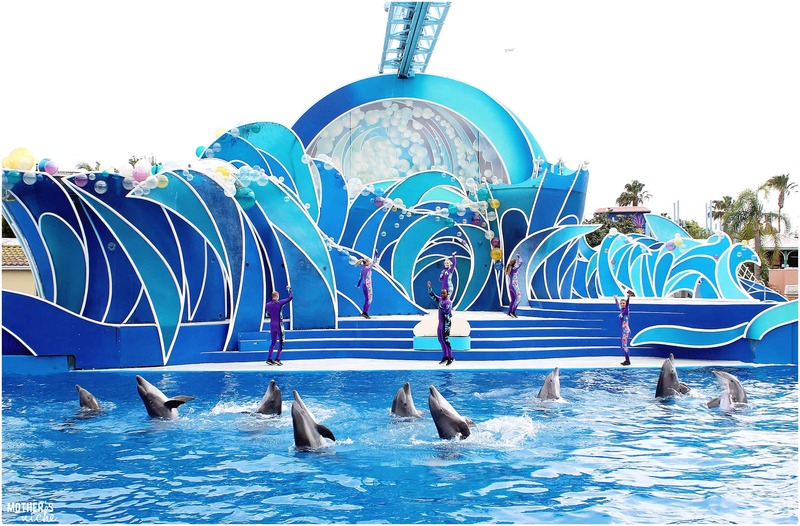 What tips would YOU add for a trip to Sea World? !